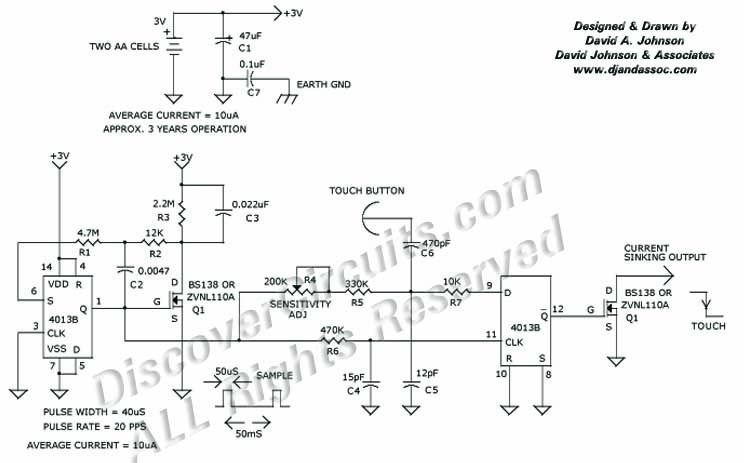 Circuit: 3V CAPACITANCE PROXIMITY SWITCH __ Circuit designed by David A. Johnson, P.E. This circuit was designed to provide a touch activated switch function without an external power supply. It draws so little power that a single 3v battery will operate the circuit for many years. It is discussed in more detail in the section on Capacitance Proximity Switch Technology.